Independent & Group Guatemala & Belize Tours Packages in 2019/2020 from Travelbag. 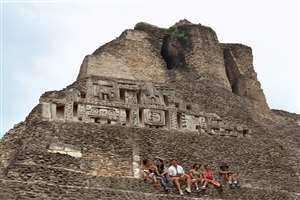 An enigmatic civilisation that has captivated historians and curious onlookers alike over the years, the ancient Mayans continue to capture the imagination of travellers around the world, making a holiday to Guatemala and Belize a uniquely tempting opportunity to get into the heart of this fascinating culture. Modern-day Guatemala is still very much defined by a legacy that stretches back across the centuries, a secret that is being unravelled as it bursts forth as an interesting, yet still untouched holiday destination. 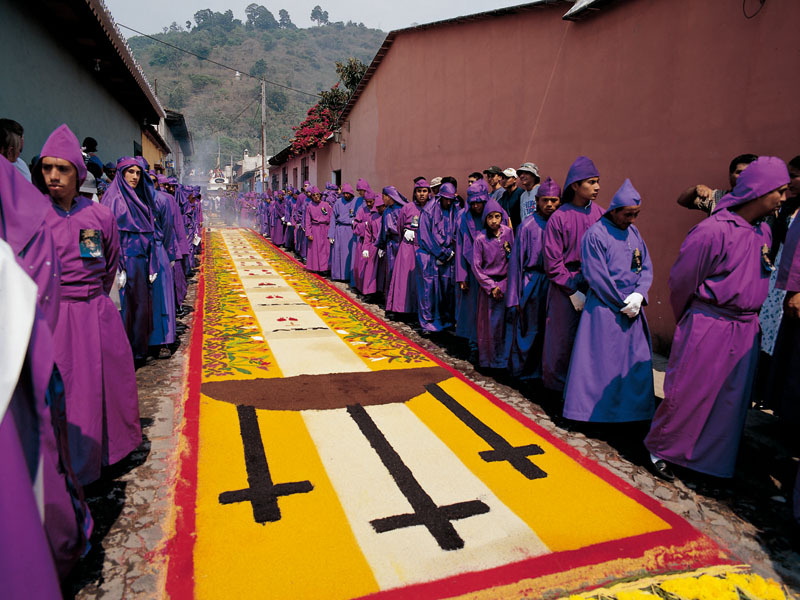 Indeed, with almost half of the population being descendants of the Mayans, ancient practices and traditions continue to be practiced to this day, ensuring any Guatemala tour an enthralling insight into this distinctive way of life. 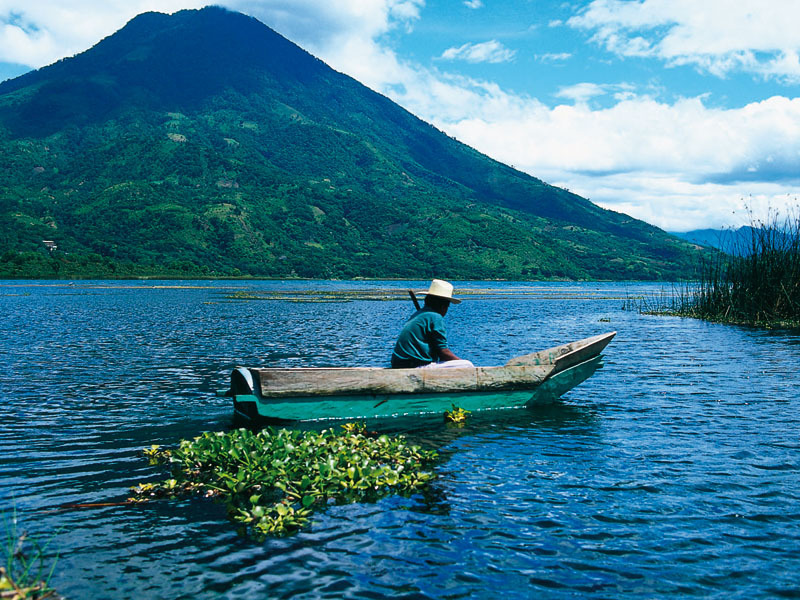 Geographically, Guatemala is a mountainous country bordered with Mexico, Belize, Honduras and El Salvador, where countless volcanoes sprout from the ground, thick jungles shroud hidden ancient cities and towns flourish in a kaleidoscope of vivid colours. The eponymous capital city of Guatemala marks the gateway to your holiday and is where the best museums and most modern buildings can be found for those keen to spend a day getting acquainted with one of Central America’s most sprawling cities. From here, many make the direct tour to the beautiful La Antigua Guatemala (Antigua for short), Guatemala’s ancient capital city that has stood the test of time – and natural intervention – remarkably well. Though its status as the capital was abandoned in 1773 when a devastating earthquake left the city in ruin – prompting the shift of power to the current Guatemala City -, it is a measure of the love for Antigua (or Santiago de los Caballeros de Guatemala as it was formerly known) that it has repeatedly risen from the ashes in spite of Mother Nature’s most determined efforts. Thanks to a determined effort to preserve the city as it once was, just strolling the compact town of Antigua brings you face-to-face with stunning Baroque architecture that can trace its roots through the centuries. Age is taking its toll as these buildings steadily crumble – even if beautifully errant Bougainvillea fill many of the cracks -, but the exquisite detailing and grandeur of these Spanish-inspired buildings still demands admiration. If Antigua is Guatemala’s most beautiful town, then venturing further west will arguably bring you to its most impressive natural attraction at Lake Atitlan. Frequently labelled the world’s most beautiful lake by those fortunate enough to have peered across its calm, cobalt waters from the shore, it’s a statement that is difficult to argue with once you’ve clasped eyes on a setting breathtakingly framed by the scatter of volcanoes around its perimeter, the cones cutting a distinctive silhouette in the distant haze. The volcanoes give a clue to Atitlan’s origin since it was formed in a caldera, while the surrounding villages offer an intriguing perspective of Guatemala’s Mayan culture, with several communities – many of which that can only be reached by boat – continuing to observe ancient traditions and customs. Indeed, Guatemala’s substantial proportion of Mayan descendants means traditional Mayan towns continue to thrive across the country, most notably at Chichicastenango, a popular attraction just north of Lake Atitlan. A riot of colour, from the painted homes to the native women in their traditional dress, Chichicastenango has become renowned for its twice weekly markets, which sell all manner of locally produced handicrafts, food, trinkets, textiles and pottery, while woodcarving has also become a renowned speciality of this charming town. For those with a particularly keen interest in Guatemala’s Mayan relics, however, a trip into the country’s jungle-clad northern regions is a must. For centuries, the thick jungle of the Peten Basin, towards the border with Belize and Mexico, hid some of the world’s best preserved Mayan architecture, most notably at the stunning site of Tikal. Now immortalised within its own National Park, Tikal was once the centre for one of the most powerful Mayan kingdoms and is distinguished by its six large stone pyramids, each featuring a temple atop them. Spectacular to look at, these pyramids are merely the focal points of Tikal’s vast site, which is still undergoing extensive archaeological work to discover more of its hidden treasures. Burials, stones and altars can be found across the park, though a museum that explains more about the Mayan history helps to condense it all. Tikal isn’t the only important historic attraction in the region either, with excavations at Yaxha and Uaxactun also examples of beautiful Mayan sites. 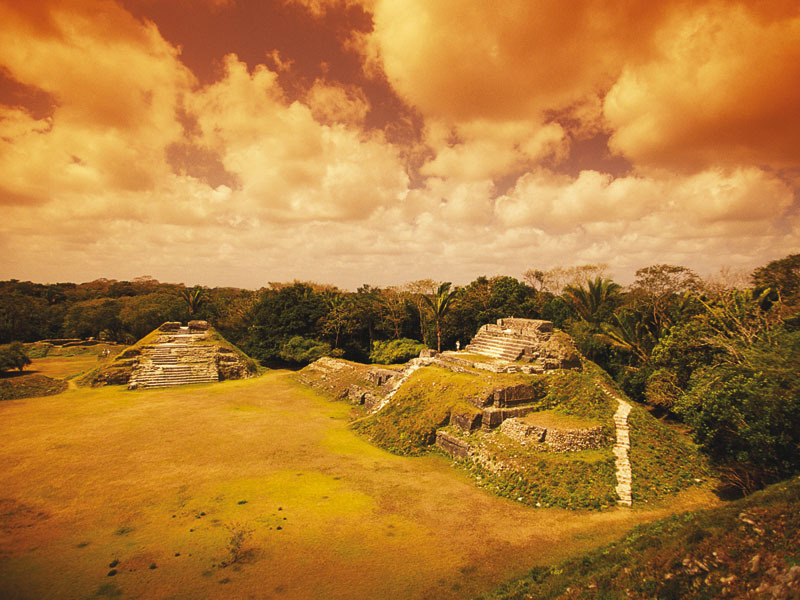 Better still, a holiday to Guatemala allows the opportunity to continue along the Mayan trail across the border into neighbouring Belize, where more significant ancient sites, such as those at Xunantunich, can be explored. Delve deeper into Belize and you can trek into the dense Cayo jungle, keeping an eye out for the wild flora and fauna that flourishes in this remarkably untouched corner of the world, or make your way to the Caribbean Sea-fringed coastline to dive beneath the surface into the spectacular underwater empire that awaits. The world is waking up to the potential of Guatemala & Belize’s extraordinary land, fascinating communities and remarkable history, successfully indulging the desires of both the adventurous explorer and the intrigued observer. 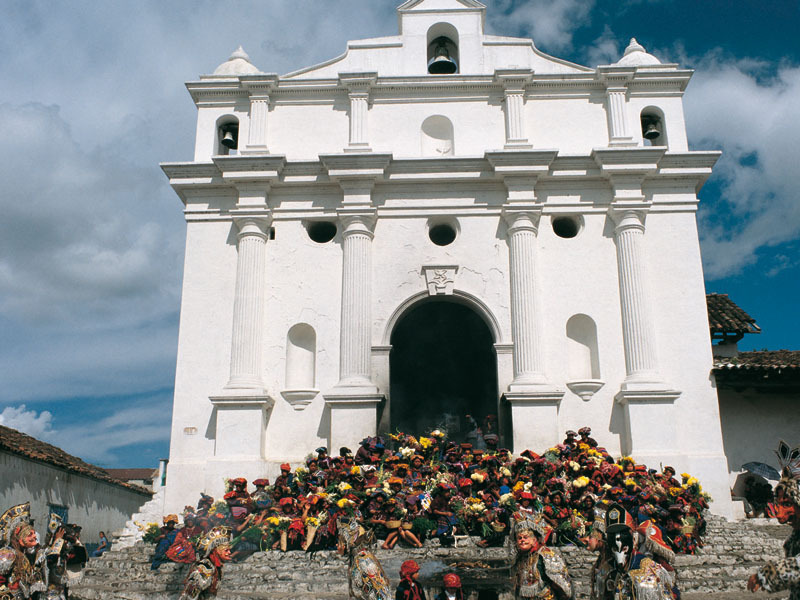 Colourful, friendly and captivating, a Guatemala & Belize tour has much to offer for your next holiday. 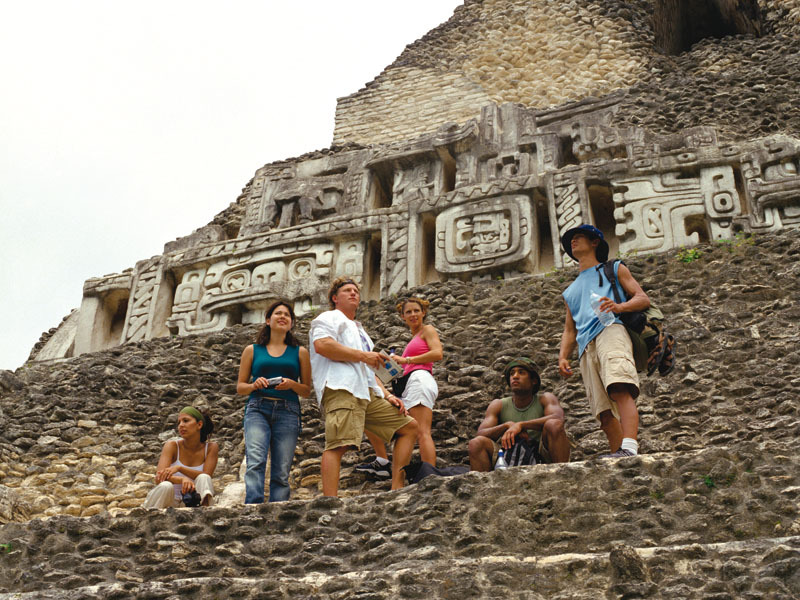 Step into the past and see the ancient history of the Mayans in the culturally rich lands of Central America. From exploring mystic temples and ruins to wandering along traditional towns and villages; marvel at the wonders this tour will bring you face to face with. 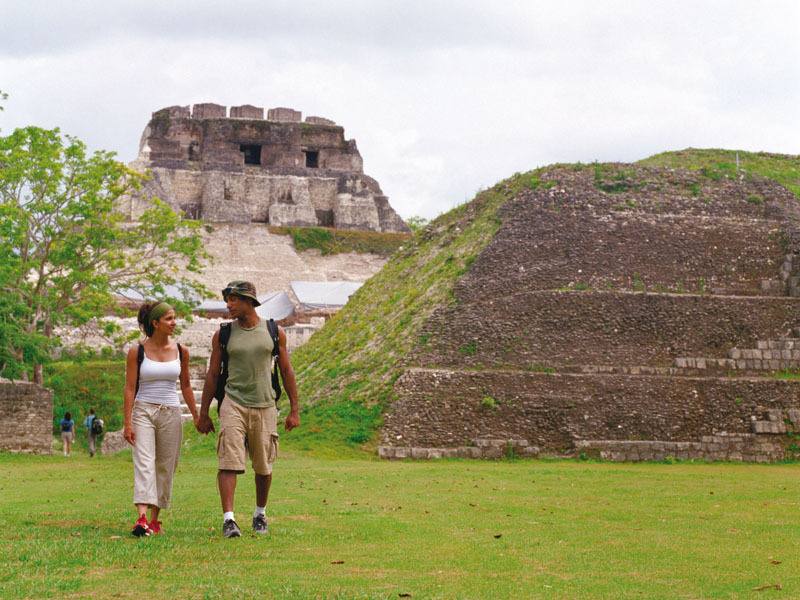 Experience the best cultural adventure Belize has to offer on this tour of the mysterious ancient lands of the Mayan Civilisation that await you, filled with looming temples, cave waterways, and sandy, coral beaches. Two nations shaped by their Mayan heritage, a Guatemala and Belize tour is a superb holiday choice for anyone with an interest in this enigmatic culture. Marvel at stunning natural spectacles, trace the footsteps of the past and interact with indigenous people… a Guatemala and Belize tour is a holiday for the soul. Travelbag offers an excellent array of tour options to ensure you get the best from your Guatemala and Belize holiday, whether you want the flexibility of an independent or self-drive tour, the benefits of an escorted tour or the intimacy of a small group tour. Furthermore, because we only work with the very best suppliers you can be sure that your tour of Guatemala and Belize will live up to your dreams, from moment you step off the plane to the moment you bid farewell to these extraordinary countries. For more information about Travelbag’s excellent range of Guatemala & Belize tours, call 0203 944 2201 to chat with one of our knowledgeable travel experts about creating the perfect Guatemala & Belize holiday for you. 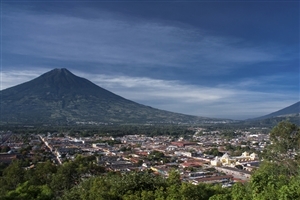 Tour the Baroque-lined streets of Antigua - Take a private tour of the stunning Guatemalan town of Antigua, a UNESCO World Heritage site resplendent with grand architecture and cobbled streets set in the shadow of three mighty volcanos. Be dazzled by breathtaking Lake Atitlan - Cruise across the peaceful, volcano rimmed Lake Atitlan, where calm blue waters have formed in a vast caldera. Discover the Mayan ruins of Tikal - Discover the intriguing Mayan ruins of Guatemala’s Tikal, where huge temple-peaked pyramids can be found amidst the deep jungle. Trek into Belize’s jungle - Venture into Belize’s untouched rainforest of the Cayo District to explore 880,000 acres of protected forests, rivers, waterfalls and caves. Haggle a bargain at Chichicastenango - Locally produced handicrafts, textiles, food, candles and all manner of wares can be perused at the Chichicastenango, as well as present a chance to interact with indigenous locals. Step back in time at Yaxha - Be regaled by the distinctive sounds of the howler monkey as you take a guided tour of the Yaxha National Park, one of the world’s most atmospheric Mayan sites. 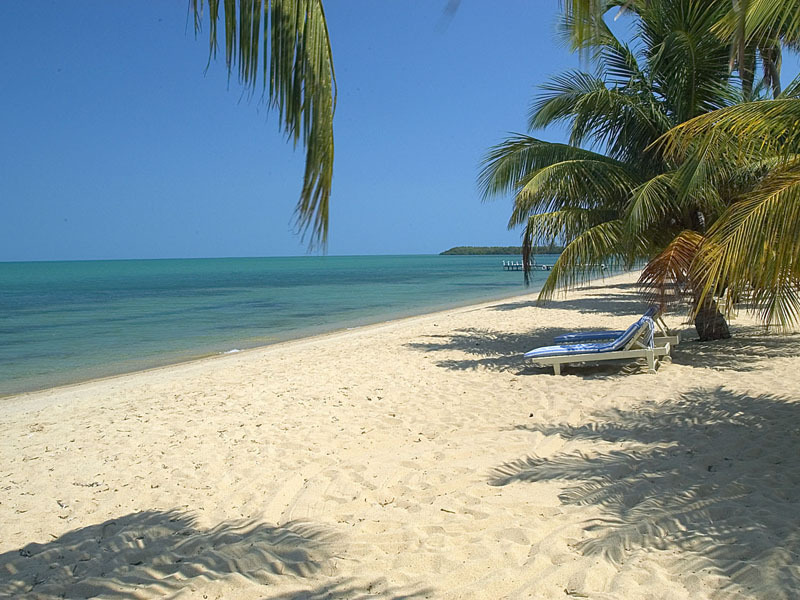 Dive into Belize’s magical underwater world - Sink into the sands of Belize’s magnificent Ambergris Caye island, where you can catch rays on the stunning beach or scuba dive in the marine life abundant Caribbean Sea. Fascinated by the mystery Xunantunich - Walk the extraordinary Mayan ruins of Xunantunich in Belize, a fascinating site that is believed to date back to 300-900AD. Fabulous Flores - Explore historic Flores in the north of Guatemala and marvel at the ‘Old Town’, located on a small island in Lake Peten Itza just off the mainland. Walk in the footsteps of the Mayans - Keep an eye out for Belize’s national animal of the Baird’s Tapir with a trek into the picturesque Mountain Pine National Park, a significant Mayan culture site. A fine example of Spanish colonialism with its colourful Baroque architecture, set against the stunning backdrop of three volcanic cones, Antigua’s tree-lined, cobblestone streets represent the very best of what Guatemala has to offer. Distinguished by its six huge temple-peaked pyramids, Tikal is one of the best preserved Mayan sites in the world with its ruins, burials and altars dotted across a vast site. 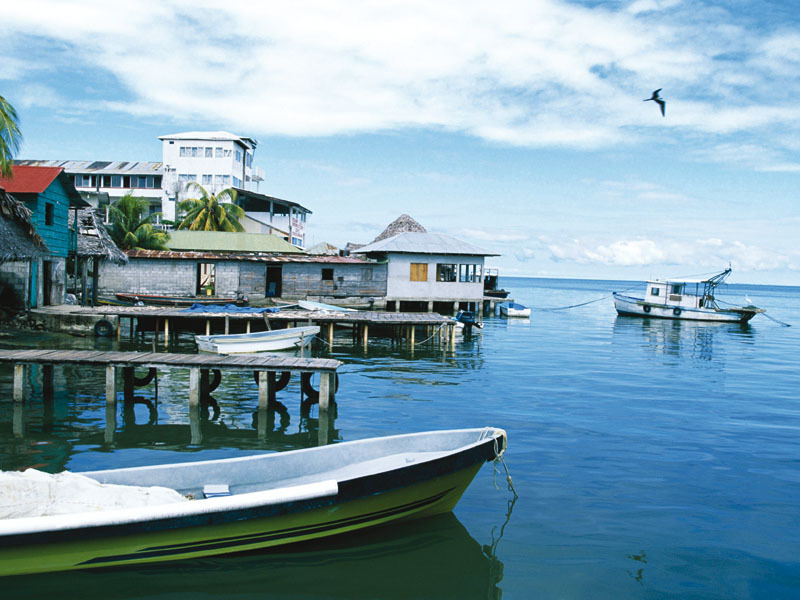 The small country of Belize to the north-east of Guatemala is full of intriguing attractions, including the lush rainforests of the Cayo District and the tropical beauty of Amberigis Caye in the turquoise waters of the Caribbean Sea.